A letter from Mr. Northeult in which he sends the annual parcels containing socks for the boy's of the Berry Schools to hang up in time for Christmas. 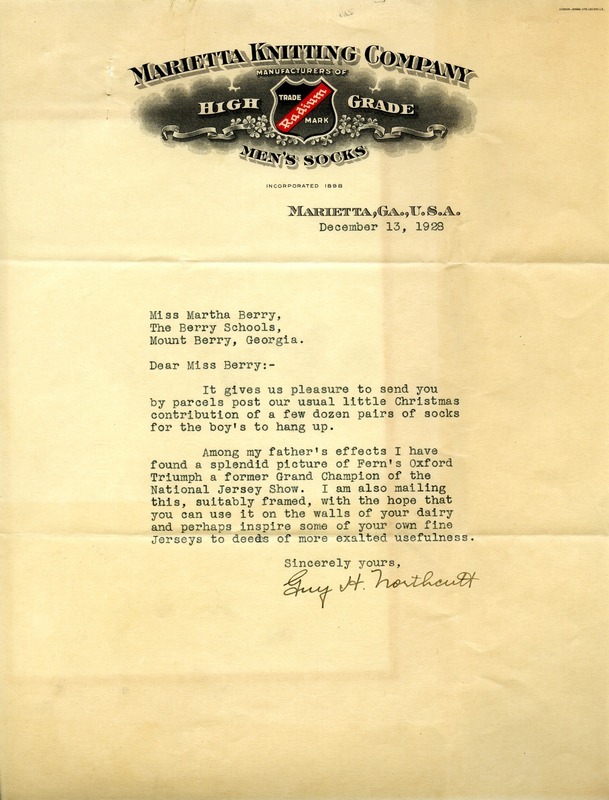 Guy H. Northeult, “Letter from Guy Northeult to Martha Berry.” Martha Berry Digital Archive. Eds. Schlitz, Stephanie A., Cameron Atwood, et al. Mount Berry: Berry College, 2012. accessed April 26, 2019, https://mbda.berry.edu/items/show/8363.